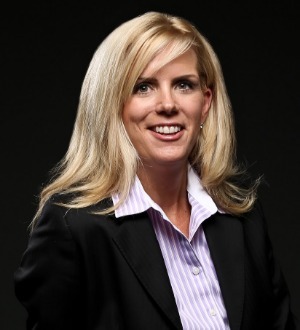 Janel Dressen has 18 years of experience as a trial lawyer. She thrives as an advocate for her clients needing counsel and representation to resolve their business related ownership and employment disputes. Her top two strengths being “achiever” and “focus” means if you need to get something done, Janel will get it done for you with attention to the important details. Janel prides herself on being the most prepared person in the room, solving problems that lawyers and clients refer to as “challenging” and getting to know her clients and their businesses as much as they do. Janel’s clients can expect to receive focus, determination and desire for excellence when working with her. Janel assists her clients to avoid and prepare for business and employment-related disputes, initiate legal actions, and appear in the courtroom. She spends a significant amount of her time resolving family-owned and privately-held business disputes for owners that are in need of separation. Her experience in these matters, together with her empathy for her clients, results in strong client satisfaction even in the most difficult and emotional times of their lives. Janel brings both courtroom and negotiating experience and common sense to the table to resolve business disputes, including negotiating, litigating, and resolving shareholder, partnership, LLC, officer, and director disputes; valuation and appraisal matters; employment matters; business competitor disputes, i.e., non-compete agreement disputes and trade secret disputes; bank-related matters; and general and complex contract matters through various dispute resolution methods, including mediation, arbitration, and court trials. Janel also counsels businesses, individuals, families, and boards of directors regarding risk management and avoidance, corporate governance, employment related and human resource matters, insurance coverage, and any other business or contract related disputes in an intended effort to avoid a dispute and/or effectively prepare for an inevitable dispute. Janel has the unique experience of having served as litigation counsel to a large public corporation with litigation internationally. She directed and supervised the strategy and defense of varied types of litigation, with a special emphasis on national product matters, worked with counsel nationwide in the development of case and claims strategy, litigation plans, case budgets, cost management, and procuring the early resolution of cases through alternative dispute resolution. As corporate litigation counsel, she also counseled business groups, executives and other members of senior management with respect to litigation strategy, risk management, preventive measures, and compliance matters.